Do you like Grand Prix Go 2? Share it with your friends. 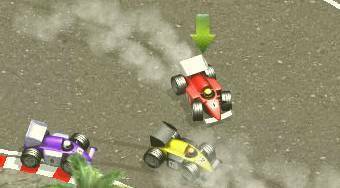 The great racing game "Grand Prix Go 2" will surely make happy all those who love fast formulas racing on the most famous race tracks of the world. Sit behind the wheel of a strong monopost and dominate the world championship. Training, qualification and the race itself are available at each race circuit.